One of Waycross, Georgia’s most established law firms recently launched a new website highlighting the firm’s history, services, and results on behalf of injury victims and their families. We have an incredibly dedicated team of professionals, all of whom recognize how life-changing the results of our cases can be for clients and their families. Gibson & Associates, P.C. recently launched a new website at http://www.gibsonlawpc.com. The website incorporates a number of important features designed to enhance the visitor experience of both existing and prospective clients. These include descriptions of services offered by the firm, client testimonials, recent firm news, and detailed lawyer and staff member biographies. The Gibson & Associates, P.C. website will continue to be a resource for clients. The firm has implemented a content program for 2018 that will provide clients with important updates to laws that affect accident victims in Georgia, as well as resources available to families struggling after tragic events. About Gibson & Associates, P.C. : Founded in 1963, Gibson & Associates, P.C. is the go-to law firm in South Georgia for serious injury and death cases. 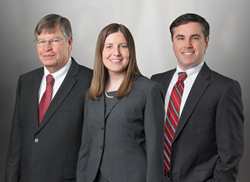 Located in the heart of Waycross, the firm represents clients and families impacted by tragic events such as car, truck and motorcycles accidents, as well as clients who have suffered severe injuries on dangerous property or while using unsafe products. The firm holds the AV Rating from Martindale-Hubbell and employs an experienced team of lawyers, paralegals, and legal assistants.